Professional Home Health Care Sitter Services are available anywhere from a few hours to 24-hours a day. Professional Home Health Care also realizes that care does not always end when a patient leaves a hospital or medical facility. Should the need arise, Professional Home Health Care's caregivers are available to transfer care to the comfort of the patient’s home. Our Sitter Services are also available when a family caregiver is unable or unavailable to assist with their loved one’s needs. Telemonitoring involves easy-to-use equipment that helps you track your vital signs at home. Telemonitoring can help prevent a symptom from becoming a trip to the hospital. Professional Home Health Care in home Telemonitoring Program is a fast, simple way for us to keep an eye on your vital signs and symptoms every day. That means we can catch an early warning sign, such as a sudden rise in blood pressure, and treat it before it becomes a bigger problem. It also gives your physician information that is important for your ongoing care. Telemonitoring allows us to check your blood pressure, heart rate, oxygen levels, weight and health status. This telemonitoring program is possible thanks to the . 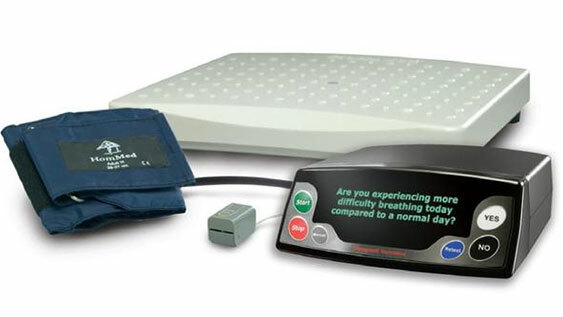 It lets you take your own vital signs with ease, and sends them to us over your phone line with the push of a button. Connected Cardiac Care is a home telemonitoring program for people diagnosed with heart failure. This program allows you to monitor your health daily and will help you and your physician manage your heart failure from your own home. For more information about telemonitoring services from Professional Home Health Care at Home, call (817)268-0010.